REVIEW - Dragon Ball Z: Extreme Butoden - Use a Potion! 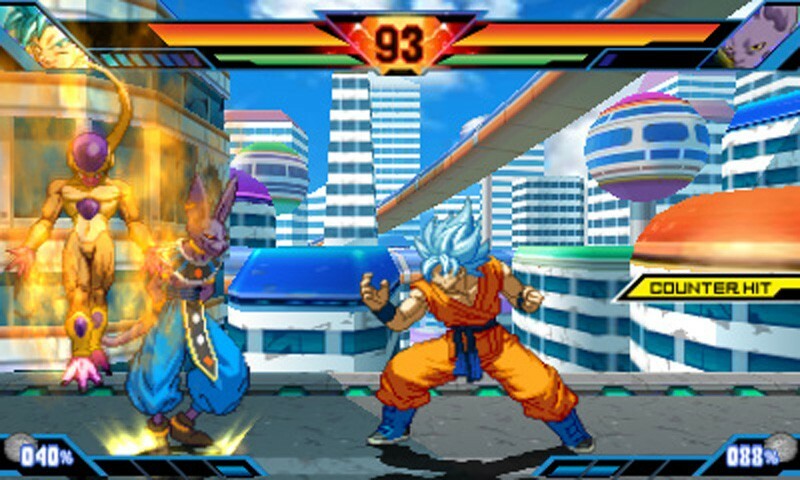 The sight of Dragon Ball games on store shelves has seemed common place over the years, a new iteration appearing on consoles on an almost annual basis. From the widely popular release of the Budokai series all the way to the latest release XenoVerse on modern consoles – there always seemed to be a new Dragon Ball title available. Fans have been spoilt. 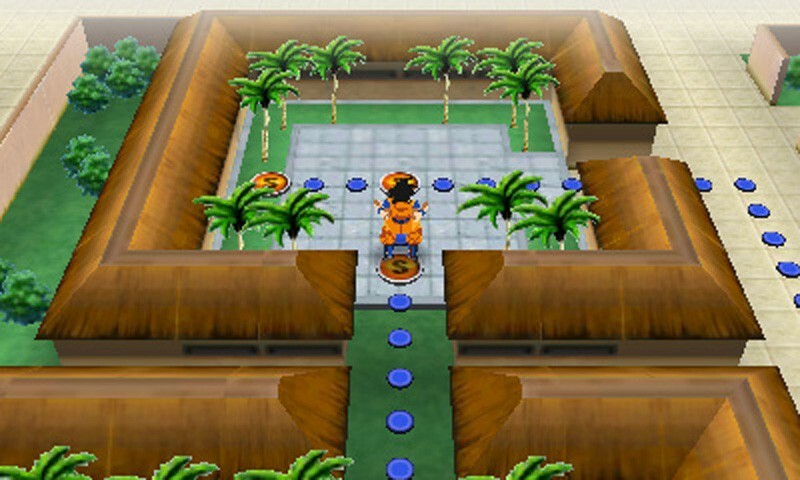 The same can’t be said for handheld releases though; the last localised portable Dragon Ball entry was back in 2010. That’s all to change now though, with Dragon Ball Z: Extreme Butoden arriving on the Nintendo 3DS. It’s been awhile since we’ve been able to get our hands on a portable entry – has it been worth the wait? 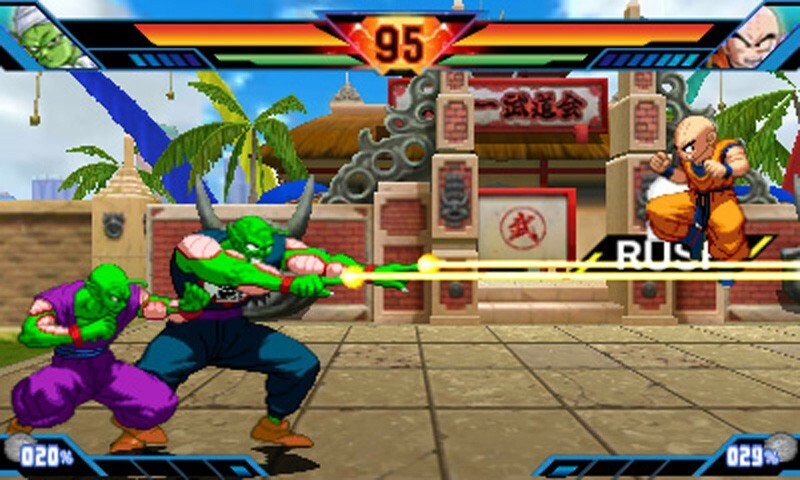 Dragon Ball Z: Extreme Butoden is a 2D fighter that covers the Dragon Ball Z timeline in both its story details and character selection. 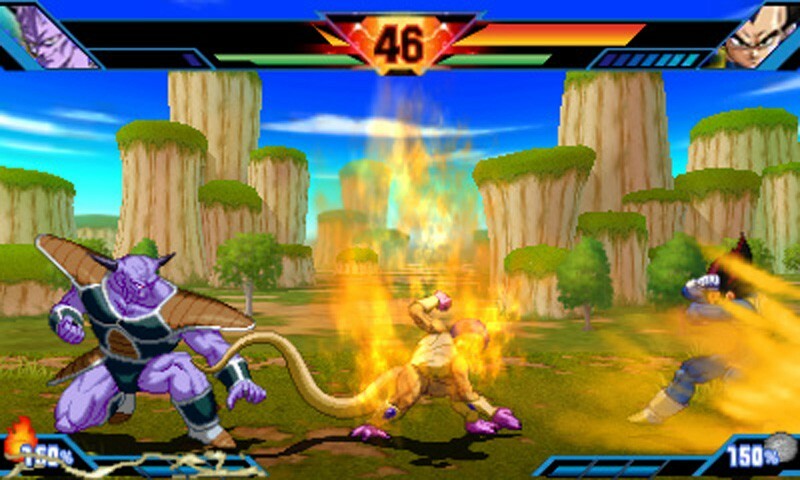 The roster features 21 playable characters – a figure that may seem impressive for a fighting game but it somewhat lacking in comparison to other Dragon Ball games. Whilst the most popular characters are available, those wishing to use their ‘dream team’ line up of Tien and Chiaotzu will have to look elsewhere. The game makes some amends for this through ‘Z-Assists’ – support characters that you can call up in battle to provide momentary back up. These ‘Z-Assists’ consist of characters from the Dragon Ball universe and with over 100 to collect it certainly makes up for the comparatively small roster count. The characters that do make an appearance look fantastic though, re-created perfectly for their portable outing. The 2D sprites are full of colour and are animated competently, whilst the battle environments look great too – fans of the series will recognise the variety of locations on offer. Something that really stands out, literally, is the use 3D intergration. It’s as simple as making the character sprites really stand out against the background, but the un-intrusive nature of it works really well – it’s the first 3DS game where I’ve kept the 3D function maxed throughout. Whilst many 2D fighters require you to master an array of complicated button combinations to become a deadly force, Dragon Ball Z: Extreme Butoden offers a much simpler approach. With only three attack buttons, combinations are simple to memorise and are generally shared across each character – whilst the moves may differ the process is the same. This doesn’t mean that the game is shy with attack options though; there are plenty of combos to pull off allowing you to attack from range and up close. Battle takes place on the ground and in the air too, so you’re able to use that to your advantage with moves that launch your opponent upwards along with those that bring them back down with a bang. Playing on the defensive, you have the option to guard attacks or pull off a quick evade, allowing a brief moment for you to try and get in a counter-attack of your own. Some of the more powerful attacks require the use of your ‘spirit gauge’ – a bar that can either build up through attacking or by charging it with the right shoulder button. Some of the more powerful attacks will require a percentage of your ‘spirit gauge’ to pull off – the best attacks in the game will drain it completely. It’s certainly worth it though; these attacks will decimate your opponent’s health bar. Of course, it’s all about timing – you leave yourself vulnerable to attacks whilst charging your ki. Character choice plays a big part in the game with most battles allowing you to choose three characters to take into battle. You can switch characters on the fly, allowing you to utilise each character’s strengths to your advantage. Characters are split into different tiers, represented by DP; the higher the DP the more powerful the character. Whilst this may play a part in your character selection, there’s often a DP limit forcing you to mix things up a bit. You need to play about with character combinations to decide what works best for you; whilst some players may want to go for all out button-mashing assault, others may focus on attacking at range and focus more on utilising combos. The flexibility is there – it’s just a case figuring out what works best for you. Alternatively, you can choose to focus on your ‘Z-Assists’. For each character you omit from your three man team, you can select upto two ‘Z-Assists’. There are so many on offer it’s insane – each one providing something different. It’s just a shame that their appearances are so brief. Despite the depth within its fighting, Dragon Ball Z: Extreme Butoden is always incredibly accessible. Whilst this may put off fighting veterans seeking more of a challenge, it at least allows beginners to easily unleash ‘Spirit Bombs’ or pull off a ‘Kamehameha’ with minimal fuss. Perhaps most importantly though is that it makes the game fun to play. Its biggest pitfall though is just how easy the game is. I had to switch the game to hard difficulty to get a bit of a challenge, but even then I found myself beating most opponents with ease. Whilst everyone likes to win in video games, Dragon Ball Z: Extreme Butoden offers very minimal challenge. Don’t expect some of the intense battles that are synonymous with the anime, but instead one-sided affairs. Dragon Ball Z: Extreme Butoden offers plenty of game modes to get stuck into. ‘Z Story’ lets you play out the Dragon Ball Z saga starting with Raditz’s appearance and culminating in the showdown with Buu. ‘Z Story’ offers ten stages with cutscenes telling you the story in between. Unfortunately, the presentation of these cutscenes is a little dull – there’s no animations but instead illustrations of characters and on-screen text telling the story. It never really immerses you in the experience but instead just has you reading text and looking at the same images over and over. At least there’s a decent variety of stories to play through; there’s a heroes story, a villains story and a set character specific stories to play through that each offer different perspectives. It’s interesting to see how the familiar story plays out through the eyes of others, it’s just a shame the story telling wasn’t presented better. ‘Adventure Mode’ on the other hand is a much more enjoyable experience. It features a fully original plot that sees all the villains Goku had previously defeated returning, resulting in a hunt for the Dragon Balls. Gameplay takes place across a map akin to Super Mario World, allowing you to move from area to area whilst taking part in battles or conversing with the many characters you’ll encounter. It’s the most enjoyable mode in the game and offers plenty of fan-service, with nods to previous events and characters aplenty. It’s in ‘Adventure Mode’ where you’ll unlock the ‘Z-Assists’ available in the game; each battle has a prerequisites to complete that will reward you with a new ‘Z-Assist’. These prerequisites can be quite difficult to achieve – you’ll be spending a ton of time in adventure mode if you want to unlock everything on offer. There’s also neat additions like the ‘Character Chart’ that offer more details about history of the characters in the Dragon Ball Z universe – a nice touch for those who haven’t fully explored the story previously. 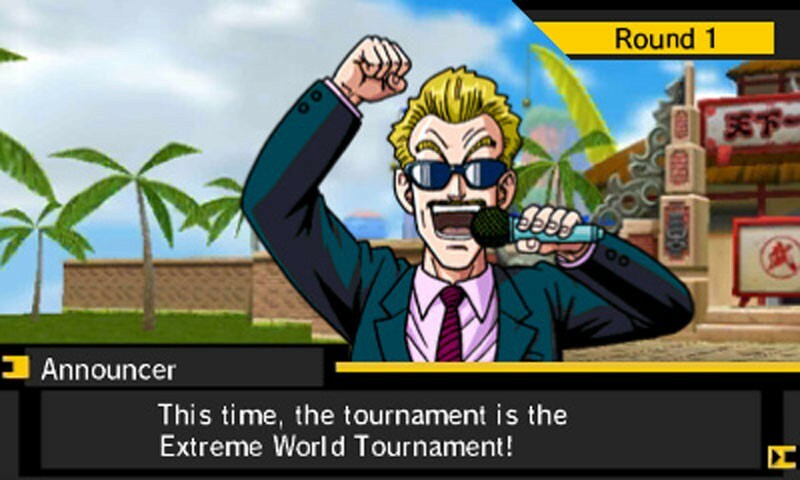 Other modes include ‘Extreme World Tournament’ which allows you to you to try to become World Champion on the hardest difficulty in the game. There’s ‘Quest Mode’ that utilises Street Pass to trade guild cards with other players. Whilst interesting additions, they do take a bit of a back seat when compared to ‘Adventure Mode’. One glaring omission is any form of online mode. The competitive fighting scene is incredibly popular and the lack of online play in Dragon Ball Z: Extreme Butoden is disappointing. When you’ve cleared the other game modes on offer, there’s not much else to keep you playing. Sure, you can partake in local battles but they don’t offer the same variety that fighting fans crave. The same goes for battles against the AI – the easy difficulty means repeated victories can become a bit of a bore. 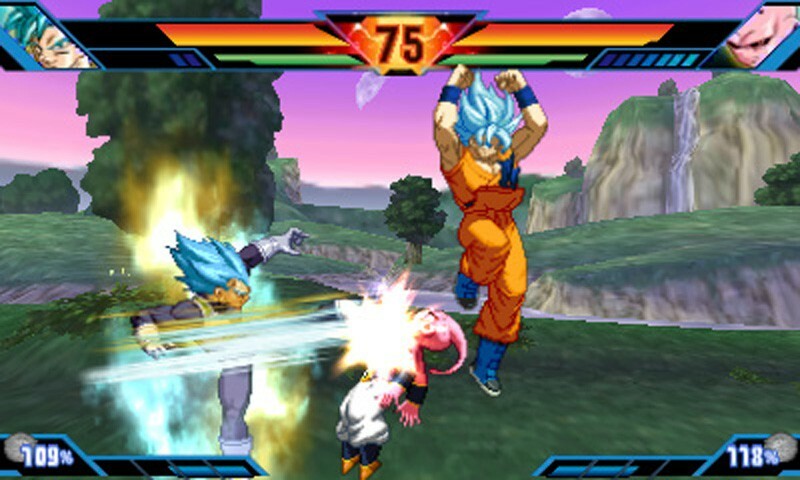 Dragon Ball Z: Extreme Butoden offers a solid, enjoyable fighting experience. It’s very accessible whilst offering a pretty in-depth fighting system – two things that don’t often go hand in hand. It looks great and there’s plenty of fan-service for the die hard Dragon Ball Z fans. However, it’s hard to ignore the lacking game modes and omission of online play. Once you’ve cleared the fantastic ‘Adventure Mode’, there’s not a lot a whole lot else on offer – a real shame considering the game is otherwise so fun to play. If you can look past those flaws though, Dragon Ball Z: Extreme Butoden offers an enjoyable fighting experience. Just don’t expect it to last quite as long as the Dragon Ball series has.